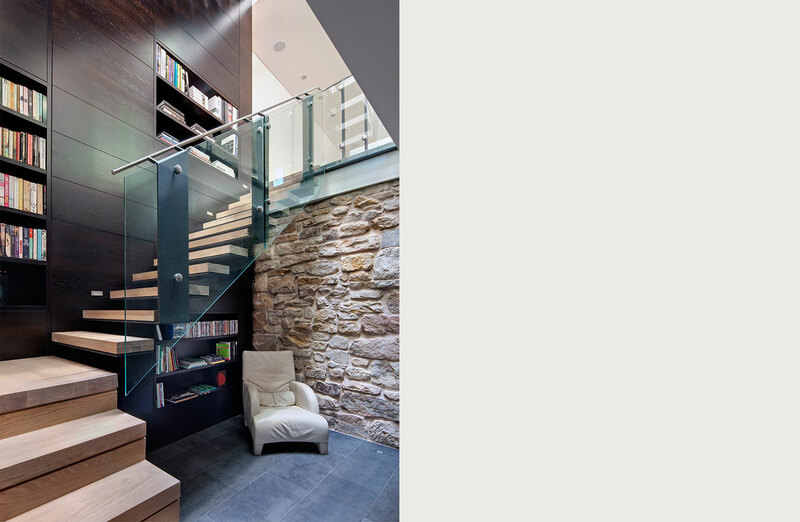 The brief from the client was to convert a dilapidated 1880’s terrace into a new four bedroom family home, with separate informal and formal living spaces, a media room and 2 car garage. 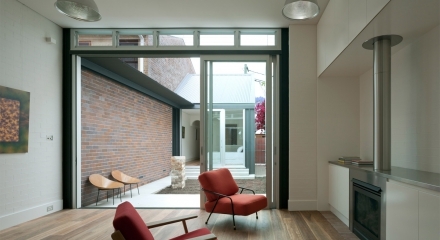 The intent of the brief was to achieve and open plan which still could afford a degree of privacy for a growing family. 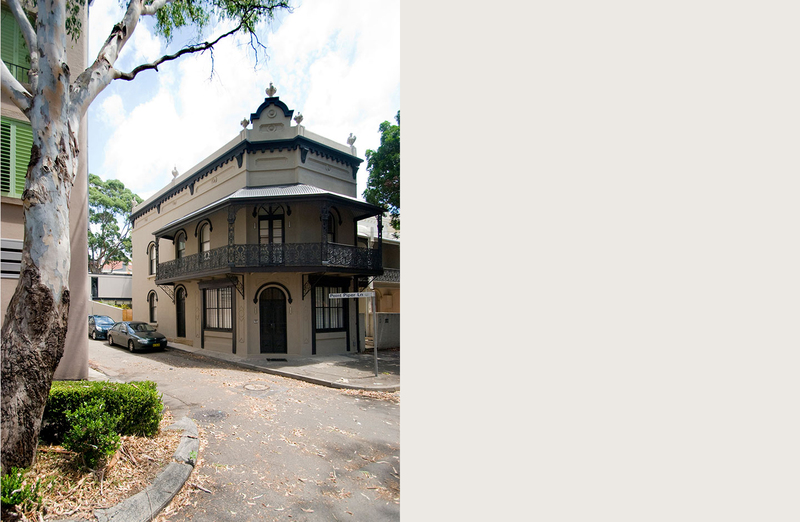 The site is located within the Paddington Heritage Conservation Area on the corner of a quiet residential street. The existing terrace was originally a bake house which formed part of a row of terraces along the street. The site has access to 3 street frontages, with the main entry located toward the north, a lane to the west and rear vehicular access to the south. Through consultation with the heritage consultant, the façade of the front building was retained, and the rear building, which was a poor later addition, was demolished. 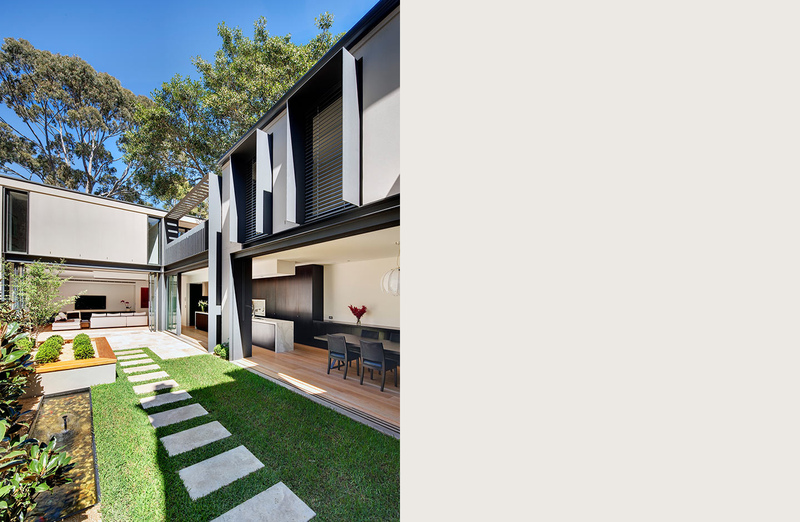 To maximise solar gain and interaction between the various spaces of the house, the new addition was designed as an L shaped wing around a central courtyard. 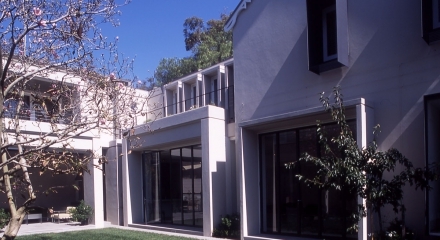 The front building retains the main entry and formal living spaces. The master bedroom is located on the upper floor and a media room with new walls and perimeter drainage was built within the existing walls of the damp basement. 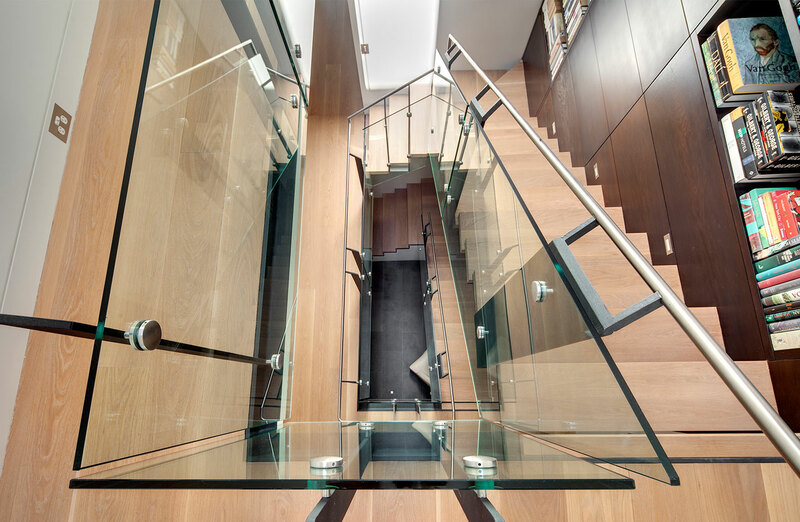 To maximise light into the existing building, a new void was inserted through the 3 existing levels, with a skylight over new steel and timber cantilevered stair and 3 storey bookcase. 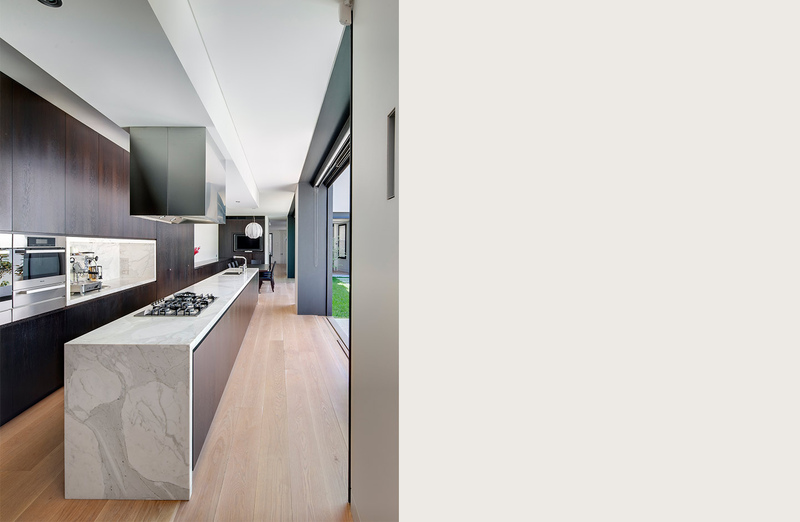 The kitchen, informal living spaces and remaining bedrooms are located in the new addition, all with openings into the courtyard. 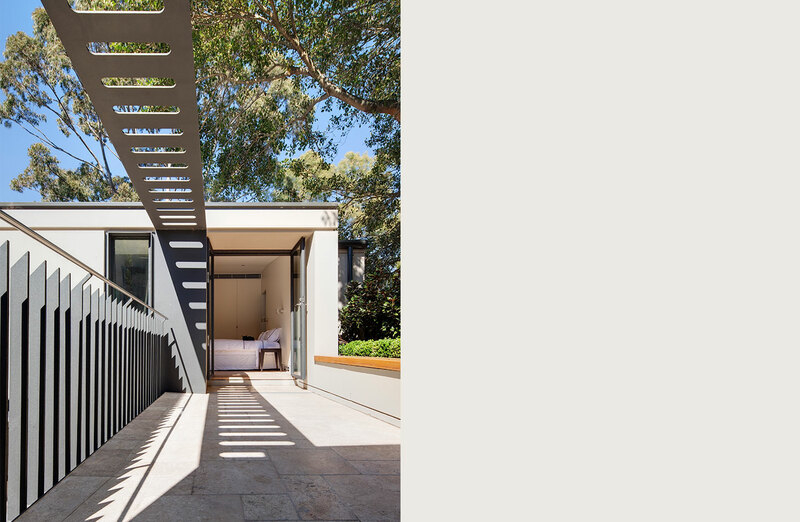 On the ground floor, all doors can open up or slide back to provide interaction between the spaces to the courtyard as well as the spaces across the courtyard. 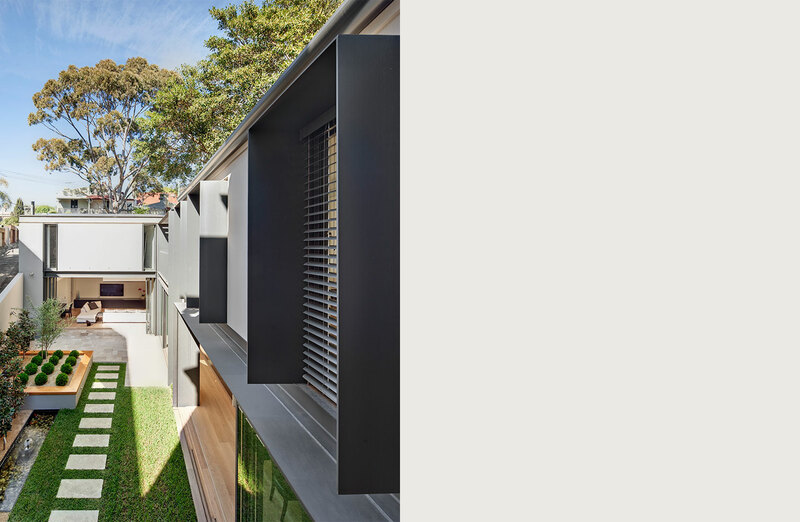 Landscaping has been designed to provide privacy from the apartments overlooking the laneway. In order to maintain the footprint of the replaced rear wing, large steel blades framing the openings allow for additional space to be achieved without increasing the scale and bulk of the new addition. Lightweight materials and contemporary detailing distinguish the new addition from the existing late Victorian corner shop terrace.